The National Assembly for Wales (NAfW) has a number of subject-led committees who hold evidence gathering meetings throughout the year. These meetings generally take place at the Senedd building in Cardiff Bay and are made up of appointed Assembly Members (AMs) from the different party groups. The WLGA welcomes the opportunity to contribute to the work of NAfW committees as there are likely to be implications for local government, either directly or indirectly later on. 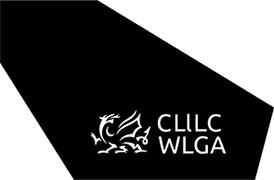 The WLGA often provides written evidence in advance of its attendance, which is prepared following consultation with relevant parties from both within and outside local government. This evidence becomes the basis for discussions with those Assembly Members who sit on the committee on the day. Further information about WLGA written evidence to the NAfW is available from the menu opposite or by visiting our website pages on Legislation and Legislation – Post legislative scrutiny.